Fold parchment paper in half and open it back up. 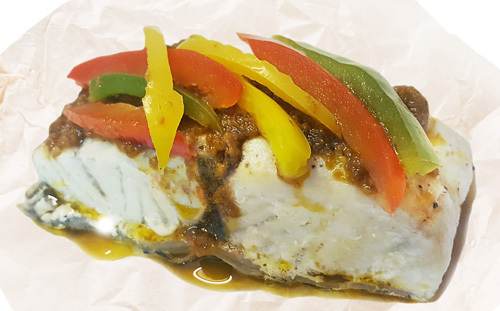 Place barramundi portion, skin-side down, on one side of the parchment paper. Place capsicum strips on top. 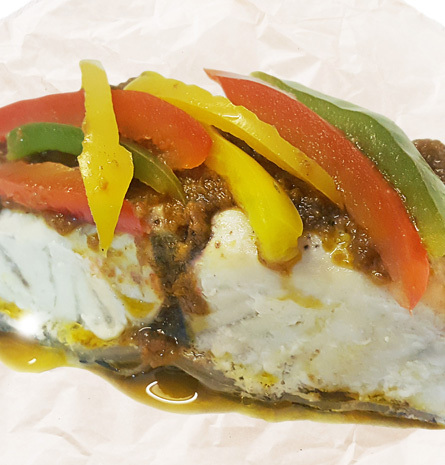 Fold the other half of the parchment paper over the barramundi and wrap the edges over to secure it.